David Rohl’s books have convinced me that he is one of the most brilliant and original minds now engaged in writing ancient history. If he hadn't been a historian he would have been a terrific mystery writer. The Daily Express newspaper went so far as to state that ‘when it comes to exploring, David Rohl makes Indiana Jones look like an under-achiever.’ Always controversial, Rohl is not only a best-selling writer but also an explorer, TV presenter, internationally renowned public lecturer, composer, musician, record producer, photographer and former Archaeology Correspondent for one of the UK’s leading newspapers. David’s popularity stems principally from his internationally acclaimed TV series ‘Pharaohs and Kings’ (1995), which has been seen by millions around the world, and for the best-selling book A Test of Time (translated into twelve languages). The documentary ‘In Search of Eden’ has also reached a huge audience and is constantly being repeated on the satellite channels. For most of the last 200 years the academic trend had been to reduce the value of the Old Testament from historically useful narrative to worthless fiction. The most published, most translated, most famous writings on the planet were no better than Harry Potter, and any scholar with the temerity to suggest that they were even a potential source of real history was derided as a crank. Then everything changed when, in 1995, a gifted and compelling voice demanded critical re-examination of the evidence. Crucial assumptions, handed on down through the years from professor to student, had received little such examination. Inconveniently obscure or confused periods tidied generations ago into ‘Dark Ages’ or ‘Intermediate Periods’ had become straight-jackets creaking with the double strain of unresolved contradictions and the insistent questions of modern scholarship. 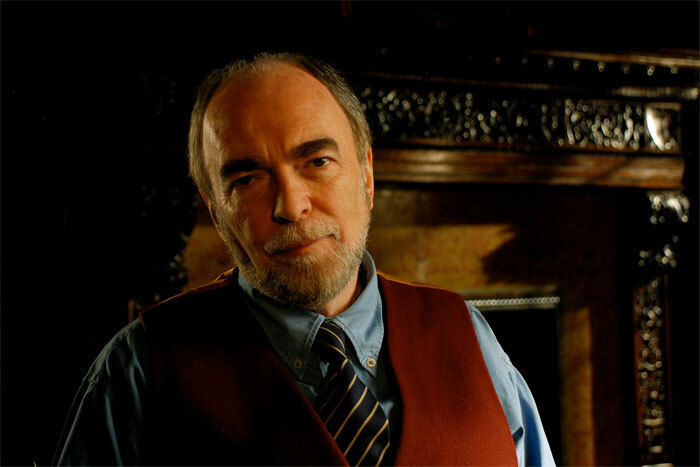 With his first book, A Test of Time, Egyptologist David Rohl burst upon the scene and, in the words of the Sunday Times, ‘set the academic world on its ear’. A consummate communicator, Rohl writes and lectures brilliantly and is one of that rare breed of scholars who can talk to a lay public without condescension and with real passion. Reading Rohl, watching his television programmes or listening to his lectures, one is impressed by a wide-ranging mind completely at home in a familiar landscape. His obvious mastery of the subject, the clarity with which he lays bare the disturbing inconsistencies he is challenging, his impressive marshalling of facts and the lucidity of his arguments mark him out as an important voice in archaeology. Rohl is a fiendishly clever writer. He even manages the trick of occasionally letting his readers get ahead of him so that they work out a conclusion before he suggests it. No wonder his arguments are persuasive – you worked them out for yourself! As a detective story for intelligent, inquisitive people his seminal work, A Test of Time, is unmatched. I am writing to ask permission to use a photo of yourself in our Egyptian chronology display we are in the process of creating at the Akron Fossils and Science Center in Copley, Ohio. We would like to use this quote from you: "Without initially starting out to discover the historical Bible, I have come to the conclusion that much of the Old Testament contains real history." We are addressing the new revised Egyptian chronology and how it fits better in with Biblical history. 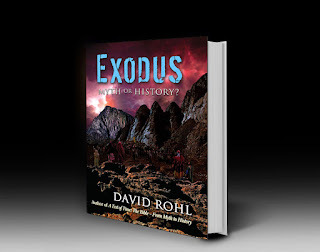 Will there be alternate websites to buy "Exodus – Myth or History?" ? The website www.patternsofevidence.com is charging $20 just for shipping. Depends where you live. If in the UK or Europe you can order from Amazon.co.uk. If in the USA, you can order from the Patterns of Evidence web store or Amazon.com. You can also order from the Book Depository, in UK. Ships worldwide with free shipping! Amazon UK has the book, but it still ships from the US and it's still more expensive compared to the US buy. I wouldn't really mind that, to be honest, but it's the time it will take to arrive that I can't afford right now. I don't suppose it's sold here in any UK book shop? Btw, Book Depository doesn't have it. The only "quick" alternative I've found is to buy it digital on Apple Books. Not really my favourite option. Does any of the other books of yours readily available in the UK contain similar information as your latest book? Trying to have some material that to argue my case in my essay on Exodus, where I want to challenge the academic consensus about the historical setting of the exodus. In your book "Exodus Myth or History?" you indicate that flood level markers showed that excessively high levels were shown for a period of 12 years. The Bible says that there would be seven years of famine. Is it that the construction of the Bahr Yussef and Lake Moeris were constructed in time to eliminate the threat of over flooding in the last five years of the 12 year period of excessive flooding conditions? Yes Arthur, that is exactly the case. The general conditions of high floods lasted longer than the famine because Joseph was able to alleviate the excess water damage after constructing the canal system to divert about 50% of the flood water into the Fayum basin and therefore relieve Lower Egypt of the excessive flood. Thank you for your honest scholarship and courage in the quest for truth. Cindy, most of that info is in the books The Lords of Avaris (for the northern Mediterranean civiliations) or From Eden to Exile (for Mesopotamia, Israel and Egypt). Hope that helps. I came about your first book Pharaohs and Kings not by chance: as a layman I could not believe that the tumultuous happenings of Exodus, with the annihilation of the Egyptian army, could have gone unmarked on the well documented (relative to others) historical record of Ramesses II. Something had to be wrong. And so I ventured on an Internet search for unconventional theories on the identity of the Exodus pharaoh, and found a reference to your book. Your books also provided an answer to another question I had: why was there no mention in the Bible to Egyptian kings during the long Judges period, when Egypt pops up almost everywhere else in the Bible? So, thank you for providing a chronology, and accompanying historical settings, that makes sense to me, OC doesn´t. Great admirer of your work. Are you planning any visits to Australia?? David thanks so much for your book. As a conventional Egyptologist I have difficulties (ie the Philistines being around before RIII) with it but it certainly livened up my reading for the last few weeks. Hi David. Do you know what happened to the bodies of Joseph's brothers. I know there were daggers in two of the tombs and I know that Joseph's body left with the Israelites. Joseph was mummified right? Just wondering if anything was found of the brother's bodies? Thank you for your time.